How to Disable Root SSH Login on Linux ? your root password and potentially get access to your system if they can figure out your password. you have a regular user account and that you can su or sudo to root from it. file for the sshd service. The location will sometimes be different, but it’s usually in /etc/ssh/. Open the file up while logged on as root. How to Find All Failed SSH login Attempts in Linux ? Each attempt to login to SSH server is tracked and recorded into a log file by the rsyslog daemon in Linux. The most basic mechanism to list all failed SSH logins attempts in Linux is a combination of displaying and filtering the log files. In order to display extra information about the failed SSH logins, issue the command as shown in the below example. In CentOS or RHEL, the failed SSH sessions are recorded in /var/log/secure file. Issue the above command against this log file to identify failed SSH logins. How to configure Passwordless SSH login in Linux ? SSH is often used to login from one machine to another machine, There are number of methods to achieve this but mostly in every method it requires authentication..... It also does requires authentication but for one time only i.e. for the first time you need to do a setup and for rest of the times when you will try to login via ssh it will not ask for any password. For achieving this you just need to generate your own personal set of private/public key pair. ssh-keygen is used to generate that key pair for you. Now just copy your public key to remote machine, in this case I have generated key pair for server.example.com and copied server's public key to client's machine via following command. Now when you will try to login to client's machine it will not prompt for the password. You have Windows as operating system and you need to connect to Linux server to transfer files from Linux to Windows and inversely. So you need to have Secure Shell known as SSH. In fact, SSH is a network protocol which enables you to connect to Linux and Unix servers over the network. It uses public key cryptography to authenticate the remote computer. You can use SSH by several ways, either by using it automatically or by using a password authentication to log in. This article provides a list of SSH clients let you to connect SSH to your Linux servers. PuTTY is the most famous SSH and telnet client, developed originally by Simon Tatham for the Windows platform. PuTTY is open source software that is available with source code and is developed and supported by a group of volunteers. Putty is very easy to install and to use.You don’t usually need to change most of the configuration options. To start the simplest kind of session, all you need to do is to enter a few basic parameters. Bitvise SSH Client is an SSH and SFTP client for Windows. It is developed and supported professionally by Bitvise. The SSH Client is robust, easy to install, easy to use. Bitvise SSH Client is a feature-rich graphical SSH/SFTP client for windows and allow you dynamic port forwarding through an integrated proxy with auto-reconnecting capability. Bitvise SSH Client is free for personal use, as well as for individual commercial use inside organizations. You can download Bitvise SSH Client here. 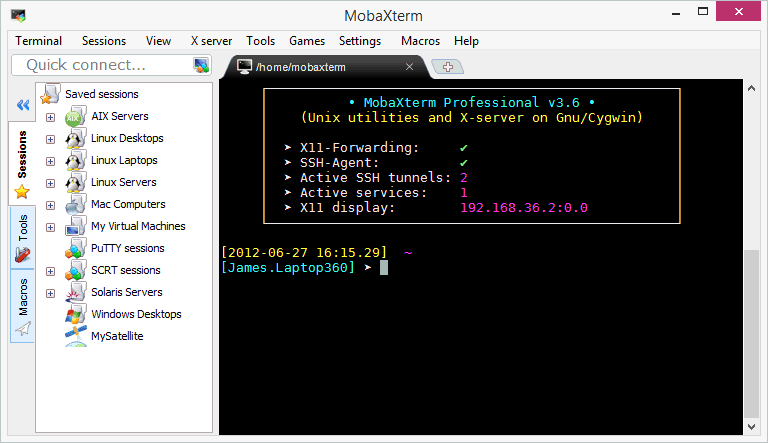 MobaXterm provides all the important remote network tools (SSH, X11, RDP, VNC, FTP, MOSH, …) and Unix commands (bash, ls, cat, sed, grep, awk, rsync, …) to Windows desktop, in a single portable exe file which works out of the box. MobaXterm is free for personal use. You can download MobaXterm from here. I think that DameWare SSH is the best free ssh client. This free tool is a terminal emulator that lets you make multiple telnet and SSH connections from one easy-to-use console. 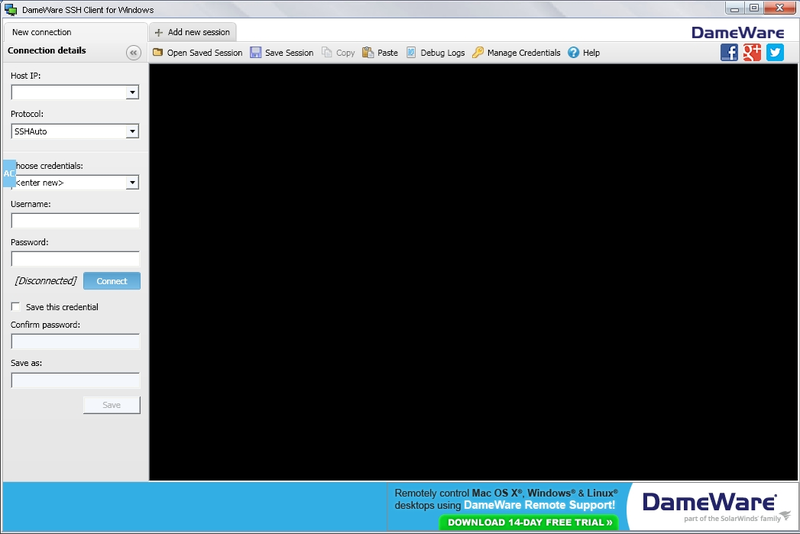 You can download DameWare SSH from this link. SmarTTY is a free multi-tabbed SSH client that supports copying files and directories with SCP on-the-fly. Cygwin is a large collection of GNU and Open Source tools which provide functionality similar to a Linux distribution on Windows. Cygwin consists of a Unix system call emulation library, cygwin1.dll, together with a vast set of GNU and other free software applications organized into a large number of optional packages. 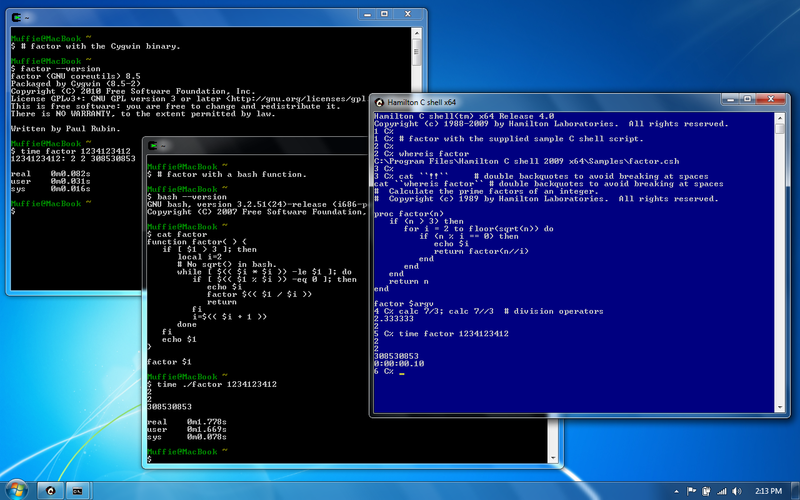 Among these packages are high-quality compilers and other software development tools, an X11 server, a complete X11 development toolkit, GNU emacs, TeX and LaTeX, OpenSSH (client and server), and much more, including everything needed to compile and use PhysioToolkit software under MS-Windows.